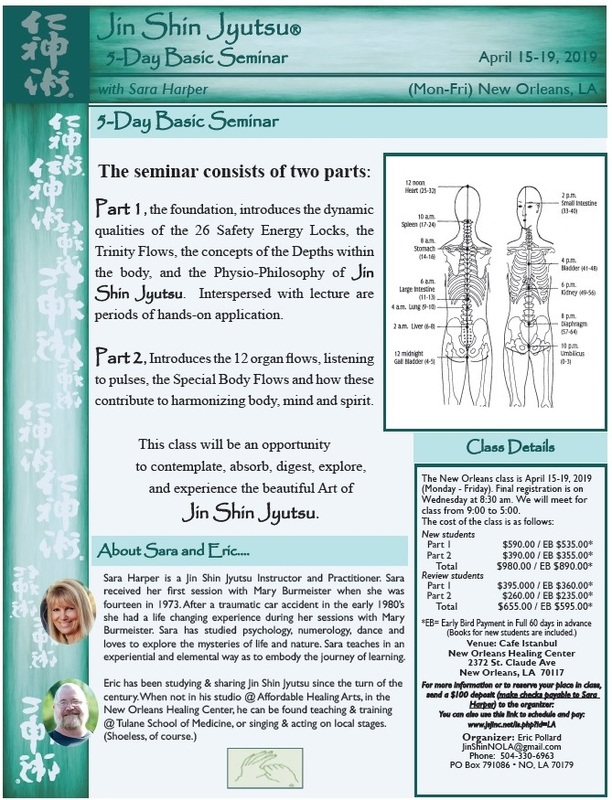 Part 1, the foundations, introduces the dynamic qualities of the 26 Safety Energy Locks, the Trinity Flows, the concepts of the Depths within the body, and the Physio-Philosophy of Jin Shin Jyutsu. Interspersed with lecture are periods of hands-on application. Part 2, Introduces the 12 organ flows, listening to pulses, the Special Body Flows and how these contribute to harmonizing body, mind and spirit. This class will be an opportunity to contemplate, absorb, digest, explore, and experience the beautiful Art of Jin Shin Jyutsu.